Do roosters crow only at dawn? Does their presence affect hens' egg size? Do they molt? We expose several myths about roosters for what they are. Cruising down the main aisle of my local feed store, I was aiming to restock layer rations, not overhear one of the common myths about roosters. Yet I passed two women animatedly discussing their birds, and, always interested in what poultry keepers say about their chickens, I turned a casual ear toward their conversation. Woman 1: Kerry’s hens have started laying enormous eggs since they got their rooster. They’re huge! Woman 2: I thought Kerry’s hens were old. Woman 1: They’re maybe three, four? They’d stopped laying but getting a rooster changed everything. I hid my incredulous reaction. This wasn’t the first time I’d encountered poultry misinformation presented as truth, and it probably won’t be the last. Whether you’re browsing websites, posting in social media groups or chatting at chicken-owner socials, you’re bound to encounter at least one alternative fact about roosters. 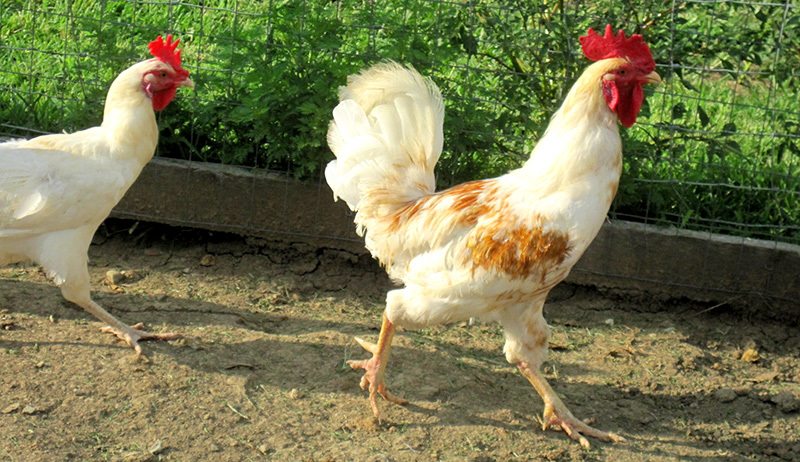 Help set the record straight by dispelling these five common myths about roosters. Just like it takes a mother and a father to create a human baby, it takes a mother hen and a father rooster to create a chick. But close to this fact lies one of the myths about roosters: that a rooster is needed for a hen to lay eggs. Females do not require a male to have regular reproductive cycles. Pullets begin laying eggs when their reproductive system reaches maturity. This varies depending on the breed of the bird, with the average age of point-of-lay (when a chicken begins to lay eggs) being 20 weeks. A hen will continue laying eggs, regardless of the presence of a male, for years, becoming less productive the older she gets. Protein Intake: Feed with an 18 percent to 20 percent protein ratio will help increase egg size for younger layers. 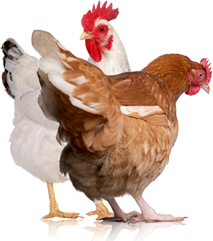 Breed Of Bird: Orpingtons, Wyandottes and Brahmas will lay larger eggs, while Buckeyes, Faverolles and Dorkings will lay smaller eggs. Light Exposure: Constant exposure to 14 or more hours of light (either natural or artificial) will shorten the length of time it takes for a hen to reach the stage where she lays larger eggs. Come late September to early October, our back acreage is a sea of cast-off feathers. While most of these come from our hens, our roosters also contribute to the fluffy groundcover, thus dispelling another of the common myths about roosters. Both genders will begin to lose their feathers as the days grow shorter, with new feathers emerging in preparation for the colder winter months. 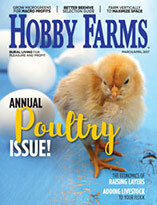 As with hens, avoid handling molting roosters, because the process of growing new feathers can be painful and takes up much of the birds’ energy. Predawn crowing is typically the most noticeable crowing period, as roosters on different farms over dozens of acres call out and reply to each other repeatedly until the sun has risen. A rooster’s crows can also vary, depending on the bird’s purpose. A crow of alarm, screeched out when a hawk is swooping overhead, will sound much more strident than the gentle crow called out in response to a hen who was separated from her flock. Mishandle any animal and treat it with hostility, and you’re bound to end up with an aggressive creature constantly looking for a fight. It’s another of the oft-repeated myths about roosters that the birds are wired for violence from the moment they hatch. They’re not. They can be trained—or mistrained, as the case may be—to react with aggression. I have found my male chicks to be friendlier and more trusting than my female chicks. 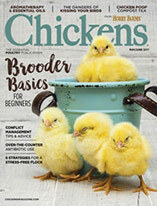 A little TLC when they’re tiny goes a long way to creating an approachable, responsible rooster.